Love & Theft have got to be the most well-known unsigned country act out there. The duo had a Number 1 song on the Hot Country Charts with “Angel Eyes” (2012) and a Top 10 with “Runaway” (2009). They’ve been nominated for ACMs, CMAs, and CMTs. They even have over 500,000 likes on Facebook. Despite some success, Love & Theft have been unable to maintain mainstream interest otherwise. Eric Gunderson and Stephen Barker Liles (you know, the Stephen that Taylor Swift wrote a song for circa 2008) have already been signed to two different record labels. Their most recent, RCA Nashville, dropped them because of their failed endeavors. 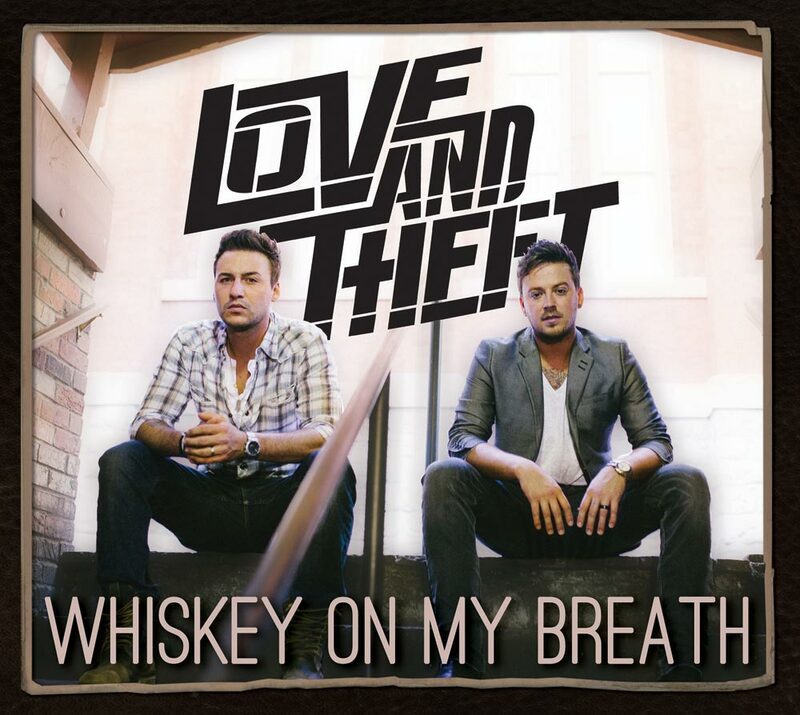 While RCA still has the rights to an unreleased Love & Theft album, Gunderson and Liles have taken matters into their own hands by releasing Whiskey On My Breath, an independently released record distributed through Red Distribution—which oddly enough is part of RCA’s parent company Sony Music Entertainment. Whiskey is no departure from the Love & Theft you know. While this is probably a good move to keep die-hard fans interested, it means there’s nothing particularly exciting about this record, both sonically and lyrically. The title-track, “Whiskey On My Breath,” truthfully deserves a review separate of this one because it is incredible. On its own, “Whiskey On My Breath” is Gunderson and Liles at their most brutally honest, with lyrics so thoughtful and conflicted. The two harmonize on the chorus, “No, and I ain’t afraid of dyin’, but what scares me to death / is meeting Jesus with whiskey on my breath.” Love & Theft have created something magical with this song. It’s an incredibly fearful and—excuse my pun—sobering topic, wondering if you can change for the better in time to meet your maker. Unfortunately for Love & Theft, the rest of the album falls flat. Liles recently told Rolling Stone that the duo’s harmonies set them apart from the rest of Nashville, and it’s true. If it weren’t for these harmonies, Love & Theft would not be as unique. 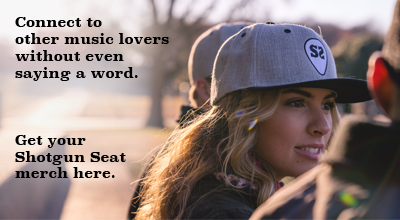 Whiskey plays like your standard contemporary country fare. It’s pretty evenly split between two topics: girls and booze. The winning “girls” track is definitely “Easy.” Love & Theft’s harmonies shine the most on this track, creating a sweet, simple ode to love. “Let’s Get Drunk and Make Friends” takes the cake for best “booze” song, incorporating a bluesy piano that fits perfectly with the honky-tonk feel of the lyrics. The remainder of Whiskey isn’t necessarily awful, but it can be cringe worthy. “Tan Lines” and “Everybody Drives Drunk” cause this reaction the most. “Everybody Drives Drunk” is, quite frankly, a terrible use of what’s probably a well-intended metaphor. “Tan Lines” is exactly what it sounds like, a song about tan lines. It’s just immature. Overall, Whiskey On My Breath is not polished, and that doesn’t work in Love & Theft’s favor this time. The record sounds like a lot of filler. For an newly-indie country duo looking to make a statement, the two didn’t quite pull it off.